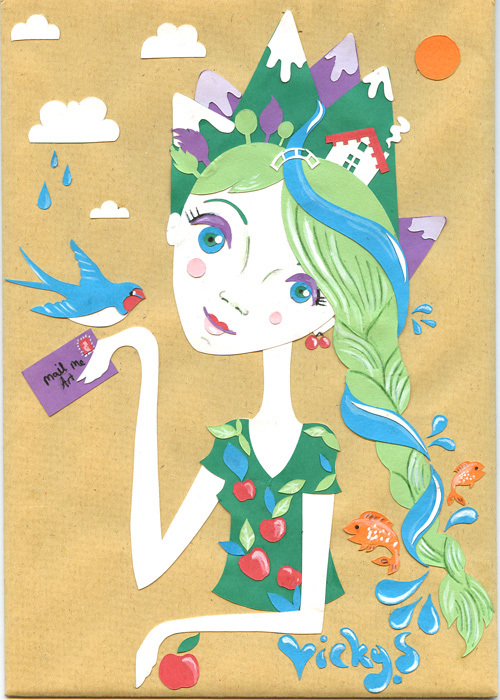 I was very happy to be selected as one of this years Mail me Art project artists (and also rather nervous as I had to pop my collage in the post and hope it didn’t disintergrate). Happily it arrived virtually unscathed and will be part of an exhibition in central London and art book. 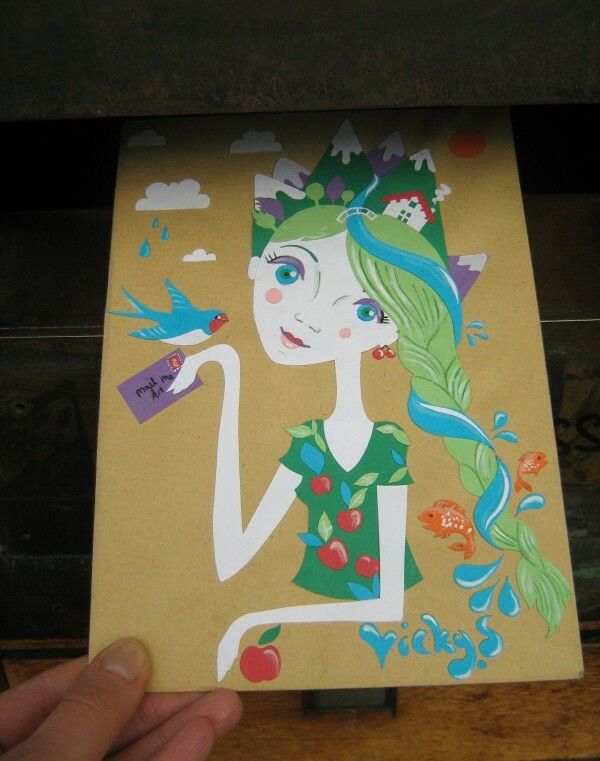 My design celebrates spring and the countryside and the joy of receiving a letter (from a bird! ).